Economic science teaches that in economies (the production and consumption of goods and services and the relating money supply) potential profits and losses determine what is feasible and what isn't. As a consequence everything and everyone is subservient to financial goals. People are reduced to either production factors or revenue streams. Their value rest entirely on the monetary benefit they provide. This is in sharp contrast to God's original design, whereby man has been made in His image, deriving his value from Him. In God's economies, relationships are the dominant currency, not money. Few notice that the true value and function of money are deliberately hidden to conceal its enslaving and destructive results. 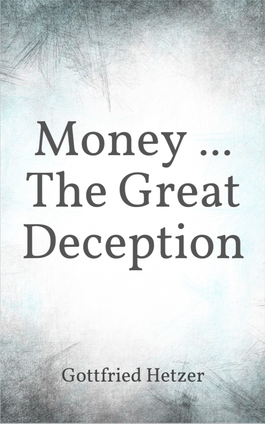 This book reveals that great deception of the secular money system and, in response, describes in detail the biblical foundation and approach to money, which results in (economic) freedom. This book is now available worldwide, both as eBook and as print version (paperback) on all Amazon platforms. An independent review of the book can be read here. The book's table of contents can be viewed here and a teaser here.